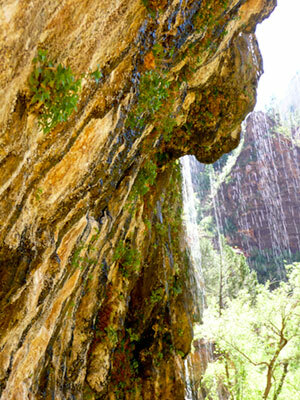 The Weeping Rock is one of the major attractions in Zion National Park. 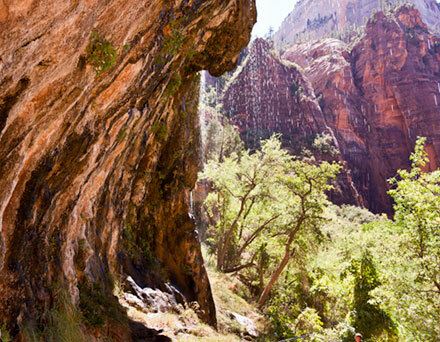 Although the official name is Weeping Rock in the Zion maps, the area is often referred to as the Weeping Wall. 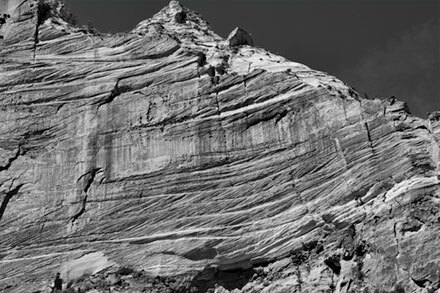 Water from the top of the cliff moves vertically through the sandstone in Zion until it hits a non-porous layer. The water then moves horizontally to the face of the cliff where it weeps out. 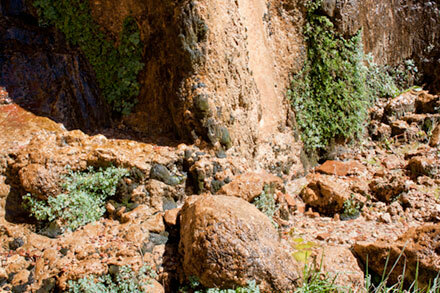 It is estimated that it takes about 1,200 years for the water to move through the sandstone and appear here. Various plants take advantage of the constant supply of moisture here and a large hanging garden is formed. 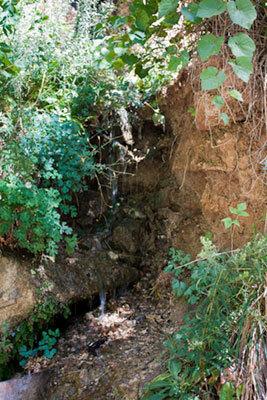 The seeping water forms several very small waterfalls. 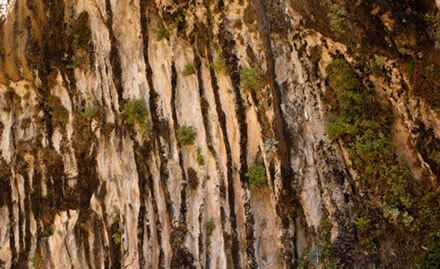 The Weeping Rock Trail is short and and steep. It is paved all the way. 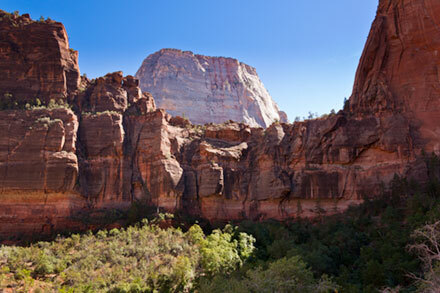 As you walk up to the Weeping Rock, be sure to enjoy the views of the various features in Zion.